This is officially my last week as a New Yorker. My belongings are on a moving truck en route to Maryland, and my remaining furniture is being sold off, and I'm living out this week on a mattress with enough clothes and books to last me through the end of July. New York Trilogy by Paul Auster - Gifted from my boss when he heard I'd never read Auster, I'm halfway through this and loving every minute of it. Auster has flipped the concept of the mystery novel on its head and truly captured the spirit of the city, at least thus far. Winter's Tale by Mark Helprin - This is truly one of my favorite books of all time. I mentioned last week in my Hop post on favorite authors that I appreciate Helprin's work because of the sheer beauty of his prose, his ability to turn new eyes to the world around him and change the way we see the everyday. 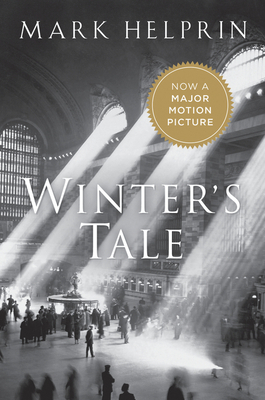 Winter's Tale is the first Helprin book I read, and I maintain that it changed the way I look at - and think about - New York, morphing it from a stagnant city of cement into a living, breathing thing. Anyone that visits New York and doesn't think the city itself is alive is missing a vital part of what this city is. 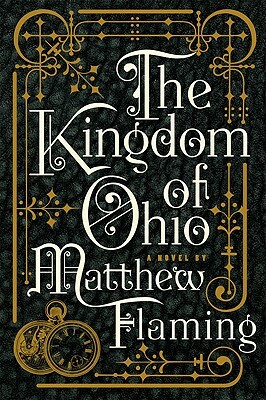 The Kingdom of Ohio by Matthew Flaming - I think this is only in my head because I've been following the construction of the 2nd Avenue Subway line in NY this week (all 33 blocks of it, which has taken over a century to build), and Flaming's novel follows a worker on the original New York subways. His story centers on an unknown magical power rooted in the subway systems, linked to time travel... while a bit far-fetched, the concept that the subways are some magical being isn't that foreign, as thinking about the vast conglomeration of tunnels and tracks and hidden hovels and all that under our feet is, in truth, quite magical. Read my review from earlier this year here. 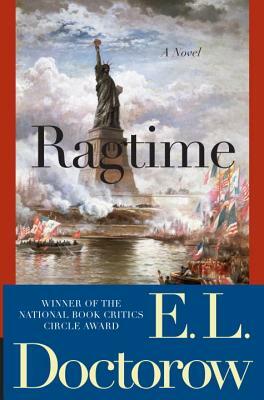 Ragtime by E.L. Doctorow - I read this as part of a book club on the recommendation of a good friend, and loved it. The history and setting of Doctorow's work speak to the thrum of the city, his language reflecting the people within it. I reviewed this a few months ago as well. 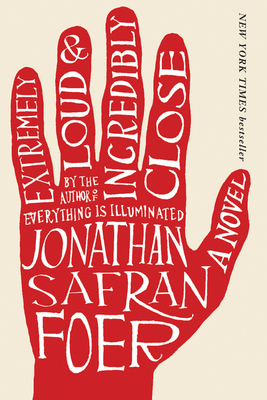 And last, but certainly not least - Extremely Loud and Incredibly Close by Jonathan Safran Foer and A History of Love by Nicole Krauss. For some reason, these books are permanently linked in my head. I read them back-to-back, and the two authors are married, but I don't know that that explains it. I even reviewed them in brief together last year. Extremely Loud and Incredibly Close is a heartbreaking story of a boy struggling to understand his father's death in the World Trade Center; A History of Love is the story of a girl trying to understand the world and a man trying to find his lost love and lost novel. Any books you'd recommend to cure any New York withdrawal symptoms experienced? And have you read Mark Helprin (ifnotgoreadMarkHelprinimmediatelynoreallstopeverythinggorightnow)? You're moving to Maryland!? I live in Maryland!! Also, Pete Hamill's Forever is a must NYC read. I forgot about Forever - I love that book! Might be a must-needed re-read. 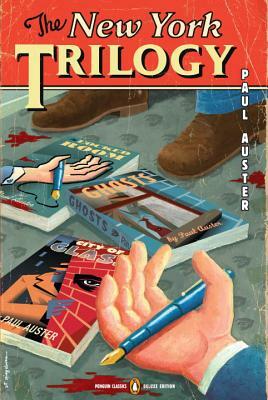 I just started reading Auster's NY trilogy. I am amused so far but haven't gotten too far in yet. Moving to Maryland means you are going to be that much closer to Daedalus Books' warehouse outlet store. What part of MD are you moving to? Greg - Great list, as well. I have Let the Great World Spin, but unfortunately it is in storage with everything else I own at the moment. I'll have to check out the others, too. Thomas - I just finished the second novella, and so far I like City of Glass best, though I'm struggling to understand the title. Looking forward to hearing your thoughts! Good luck with your move! I hope all goes smoothly. The New York Trilogy is one of my all-time faves, so I can only hope you love it as much as I do. 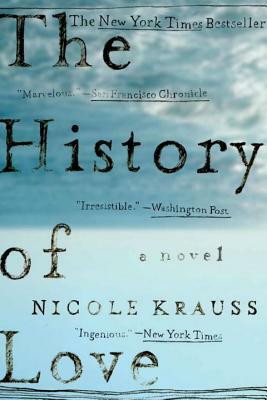 I haven't read Krauss yet, but I have The History of Love on my stacks somewhere, and I was tickled to receive an ARC of her new one, Great House. I left the city about 6 months ago and think about it everyday, but can agree with you that I never considered it "home". I just started Glamorama which takes place in Manhattan - I'll let you know how it pans out. Let me recommend Paul Auster's The Music of Chance. One of the best novels I have read so far, and recommended by a friend whose opinions I trust. Trite but true: a novel that is hard to put down. Also, yes, there is a movie adaption of The Music of Chance. Avoid it, at least until you have read the novel. They left out so much that it's almost a different story, and a lesser one. I would second Forever and I also liked North River also by Hamill. Andi - I'm jealous about Great House - I can't wait to read more of her work! Brenna - Looking forward to hearing your thoughts. Lars - Thanks! Coffee or something soon? I start new job in Baltimore next week, so after-work or weekend hours are a must. Colleen - I've always meant to read more Pete Hammill. I'll have to get North River, and I'm also itching to read My Manhattan.